First of all, join us for a fun run on ‘drive it day’ this Sunday April 28 from Melbourne Village College The Moor SG8 6EF at 11:00 to the Beautiful setting of Finchingfield maybe for lunch, via Thaxted for a coffee option and site seeing. You can test your navigator with a tulip diagram route direction sheet or simply follow a small convoy on the quiet back roads planned.There is no time restriction on this 30 mile fun run. A £5 donation to Cherryhomes Trust is requested, enjoy as the weather looks promising. On Saturday in glorious sunshine eight of our cars kicked off from Cambourne heading for Jordan’s Mill near Biggleswade, getting our tyres wet in a ford then whetting our whistle in a truly classic pub en route. The eighty odd mile drive took in Cardington hangers of R100+R101 rigid airship fame and Danish Camp by the Great Ouse river in Willington, then on to our favorite location for dinner The white Swan at Conington. Thanks go mostly to Chris Flinders and Mary for organising a varied and interesting run. Hi All , Here is some info on the Oakamoor Hill Climb I have sent am email to see if we can have a club display Area , But it does look like the entry fee is around £10 per car, If you think you would like to attend this event please let me know so to ascertain numbers . 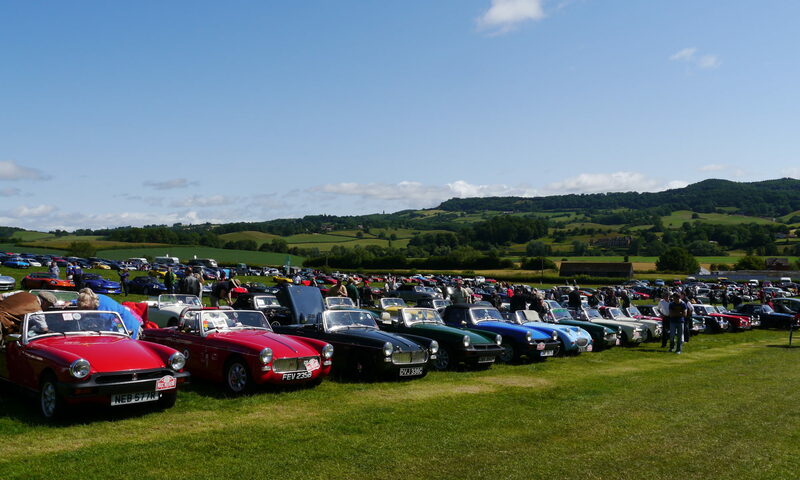 Allocated parking spaces may be ordered in advance for anyone wishing to park their vintage or classic car or motorcycle in the Static Display Area (pre-1975 as listed above and at the discretion of the Organiser). The online registration system is now live! To enter online please click on the link on the home page or click on the Book Now button on our Facebook page. For more information, please contact info@oakamoorhillclimb.org. Club parking is available if you wish to have a dedicated space in the Static Display Area. Please contact us to discuss the available options and pricing for an advertisement in the programme, a web page logo and a website link to promote your club. There will be a small fee per car in the dedicated parking area. just a note that there is a meeting as above starting at usual time of 8pm, and a welcome in particular to new members. Thanks to Chris Flinders we have done a recce of the Jordan’s Mill run to be held on Easter Saturday April 20 starting at Morrison’s car park 10:30, and members are to pre book the midday meal in response to his email, noting we intend to eat after the run, at The White Swan. Hoping to catch up with you at these events. I have just been reminded(thanks Bernie) there is a club run on the events list for Wednesday night at the Kilton Inn . So if you would like to do this short run of about 15miles, please arrive around 7pm giving us still time to have a full meeting to discus the many events coming up soon. Ian Feeney, Has a few items if any would like them listed below. All in need of some TLC to some degree or other. If anybody is interested I’ll bring them along on Wednesday. No reasonable offer would be refused.